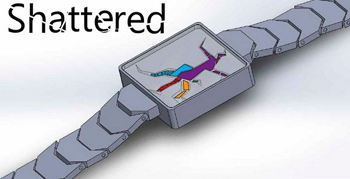 The name of the Japanese watch company Tokyoflash is associated with a variety of exclusive and watch that the appearance and functions are unique. This brand is known worldwide for its models with LED / LCD – displays. Novelty called Kisai Zone, provided the company recently – is no exception. All unique hours is the time display, which is implemented by the construction of stylized hexagons. 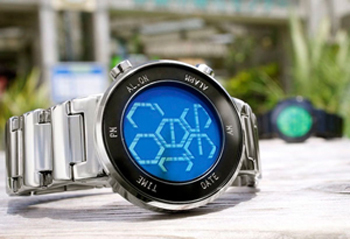 Novelty is equipped with functions of display time, date, alarm and LED backlight. 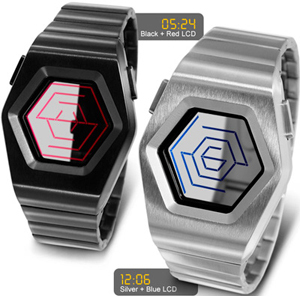 There are versions in black or silver color with four different shades of the backlight. Indication by means of wall-board, each of us could see the old alarm clocks, billboards or information in airports and train stations.